There are many advantages do having a professional landscaping company do your regular lawn care chores for you. Think of all the time you’ll be saving with a professional service. You won’t have to pay for a new lawn mower anymore when the old one breaks down, which can easily cost in the neighborhood of three hundred to five hundred dollars, or one hundred seventy dollars for a lower end machine. A professional landscaping company will trim back your bushes, cut your lawn to your specifications each week, water your garden, eliminate weeds, apply fertilizer, and more. The cost of services varies depending on what company you choose to work with and the lawn care options you choose, not to mention the frequency with which you choose to have these services performed. All in all, like so many other home services of this kind, it really does pay for itself over time. With proper professional lawn care, you will never have to worry about bare spots in your lawn again, or weeds or pests. You will have more time to devote to your job and family, and the cost for new equipment to maintain your lawn with will become a thing of the past. This is something that is available most anywhere throughout the nation, whether you live out in the country, in a small town, or in a thriving metro community. For the most part, you can count on companies such as Tru Green to be reputable, dependable and professional. Even so, you may check with the Better Business Bureau and do your own research as you shop around before signing with a contractor. Make sure that they have experience and are properly licensed. See if they are in accordance with state and local regulations, as is law. Try to find some genuine customer feedback online, as companies are generally known through the voices of their customers, both past and present ones. If you think you cannot afford these services, compare them with other companies. See what your options are, and what services you can do without and which ones are more likely needed. The final price you sign up for will also depend on the size of your property. Do you own a half acre lawn, or a one acre lawn? The average weekly cost of having your grass cut is going to be somewhere around forty dollars a cut. Not bad, considering the cost of gasoline to power your mower, not to mention recurring maintenance costs and the price of replacing a mower or weed eater if it wears out. Most landscaping companies only use the best equipment, and they only charge you for the services you sign up for. It is well worth the investment. Additional landscaping services such as tree trimming and fall cleanup, like raking and removing fallen leaves, can cost between two and four hundred dollars, but again, compare prices. If you already know what you want out of a landscaping job, write it out on a piece of notebook paper, and make calls or send emails to the companies which interest you. Most will be willing to provide you with a free estimate for their services. Visit their web sites in advance. Look for their certifications, and if possible, a score from the Better Business Bureau. Make sure they are a legitimate company before providing a bank account number or credit card number. See if there are any promotional discounts or coupons available, either on the company web site or elsewhere on the Web. The companies that have been in business the longest tend to have the most experience and the best track record of customer satisfaction, as well as competitive pricing. All of this will be in your favor. Do you have any neighbors that use a similar lawn and garden service? Ask them what they think, and if they are satisfied with the business they are currently using. If you are on a tight budget, don’t let this become an obstacle to you. Most companies will work with you to deliver a price that you will be happy about in return for a fair amount of work. Consider some cost-cutting options. Can you afford to have your lawn cut every other week instead of on a weekly basis? If so, ask for this. Are you willing to perform some of the extra maintenance work yourself, such as tree trimming and weed elimination? This will all help to lower the overall cost of the service fees charged by your company. The best companies will have been in business for at least twenty years or more. Ask the companies which interest you how long they’ve been doing business. This information may be available on their company web site. Does the company have a mission statement or money back guarantee? Ask to read it, or have it read to you. Talk with the owner personally, if possible. Most lawn care companies work hard to expand and keep their customer base, so these are things they will be happy to do for you if mention them. If you find a lower price for the same services from a competitor, see if you can get them to lower the price for you. This may be a way to get the best lawn care coverage for the best possible price. Above all, remember that what you are saving the most for yourself is time. Time to get work done, so that you can be a provider for your family. Extra time to spend with your family. 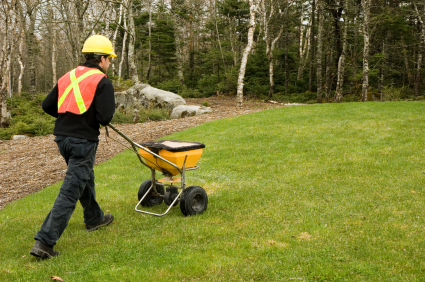 All of this will surely make having a lawn care service a valuable asset to you and your family. No more will you need to worry about keeping your lawn trimmed. You will have the time and money to focus on what’s more important. Lawn Care & Garden Questions.